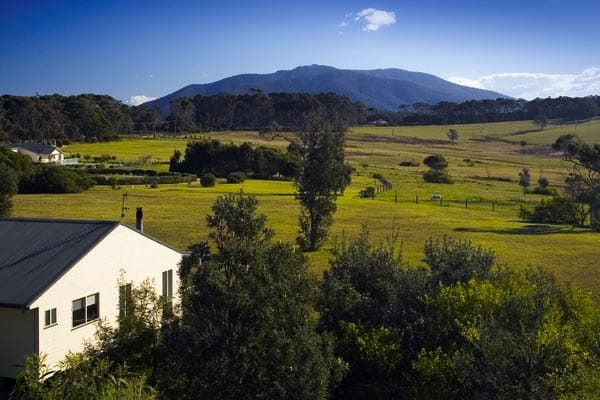 Mystery Bay Cottages are positioned between Narooma and Tilba Tilba on Mystery Bay Road. 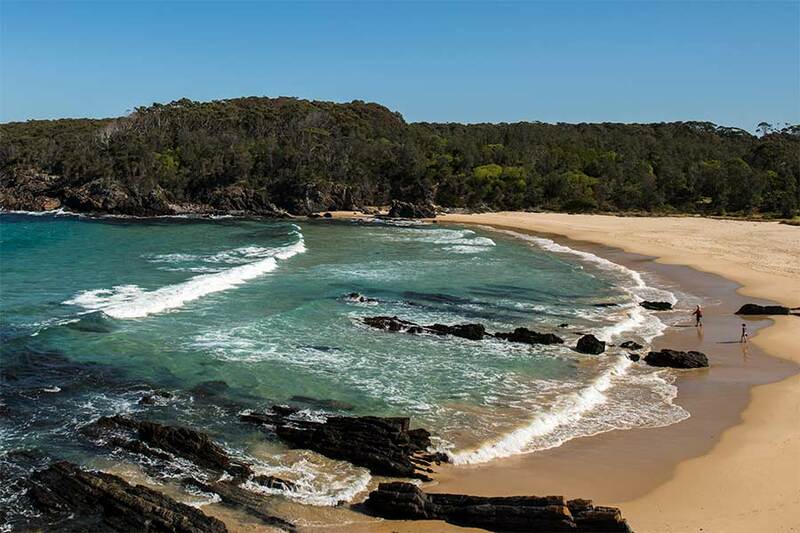 – Head south along the Princes Highway and drive through Narooma. – 7km south of Narooma take the left turn (filter lane after the Corunna Lake bridge) sign posted to Mystery Bay on Mystery Bay Road. – The cottages are 1.2km on the left and are clearly sign posted. 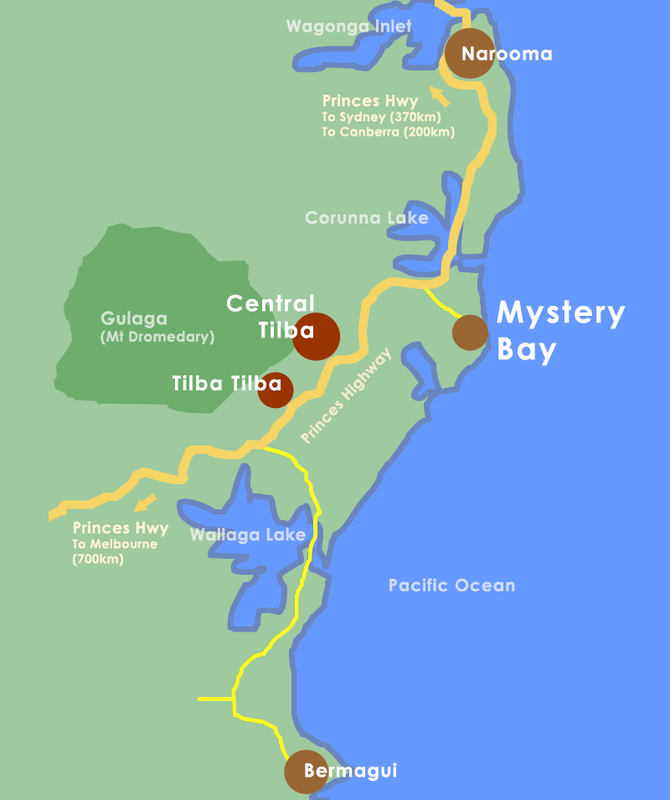 – Head north along the Princes Highway and drive past the sign for Tilba Tilba (on the left). – 5km later take the right turn for Mystery Bay on Mystery Bay Road.